Just ignore all the placeholder text. 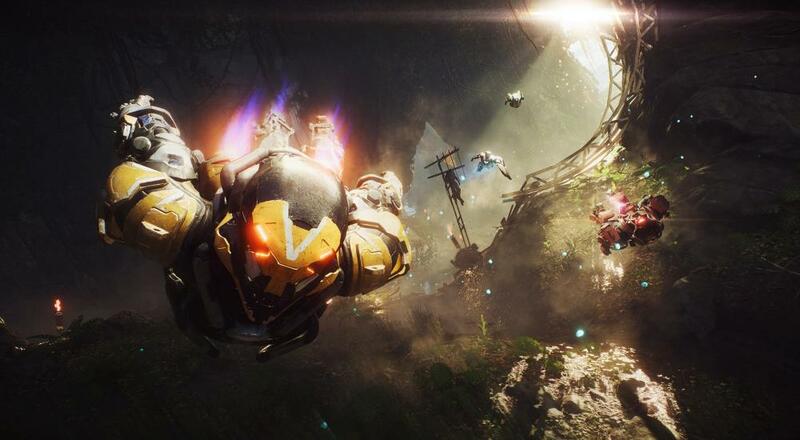 Anthem still has another few months before it's ripe for the picking, but BioWare has been showing off clips of the game in action since its announcement in 2017. While many of these have been relatively brief, BioWare's recent Twitch stream showed a pretty lengthy portion of Alpha gameplay. Most of the stream's contents were relatively unsurprising: numbers popping up over enemies, questing, and an oddly familiar military sci-fi theme, but it's nice to see everything in action. As previously mentioned, though, the game is still in an Alpha state, so expect much of the UI and text to change significantly once the game hits full release. Anthem is due for release on February 22 of next year for PC, PlayStation 4, and Xbox One. It will support online co-op for up to four players, but expect some MMO-lite elements to be thrown into the multiplayer as well. While I'm interested to see how well BioWare pivots into this semi-new direction, I'm also hoping they'll still be able to leverage their writing abilities and provide the co-op shooter genre with some much-needed storytelling and worldbuilding chops. What aspects of Anthem are you most curious about? Let us know in the comments! Page created in 0.4250 seconds.